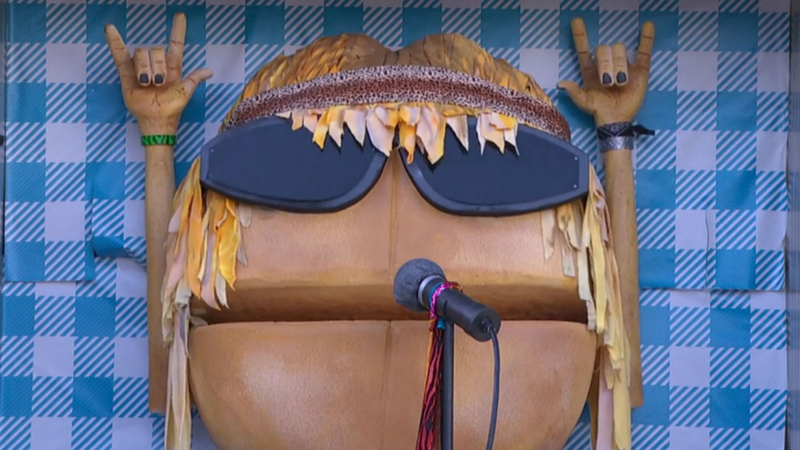 OTEV "The Rockin' Roll" made the Houseguests headbang in Season 17. Do you know what goes best with rocking-good rolls? Butter, of course. Okay, so for this specific Rockin' Roll, the answer is actually buttaaaaaa! If the remaining Houseguests were able to bring back the desired sticks of golden goodness without getting in a food fight, the rock god would grant one groupie person the Power of Veto. Two things stick out from this competition: Liz's somewhat unexpected win and Meg's cringeworthy fall. Poor #GrandmaMeg!